This section clarifies targeting issues. First of all, it underlines the importance of selecting specific types of beneficiaries, in accordance with the humanitarian principles. Then it provides an overview of the different types of targeting, including examples of tools that can be used. WHY TARGETING? ISN’T IT A DISCRIMINATION? Geographical targeting is the first step in a targeting process: it defines the location affected by a shock and where affected populations are. Geographical targeting should describe he severity of the impact of the shock in food security terms, the ways in which people have been affected and possible responses, the magnitude / numbers of people affected. 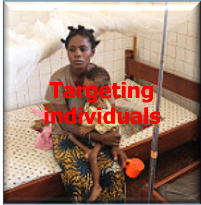 It is appropriate when there are identifiable differences between the intended target and non-target population, the targeted population is a minority, it is operationally feasible to implement a targeted distribution and the community co-operates with the targeting strategy. 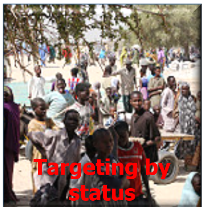 Tools for geographical targeting are assessments, comparable over space and time, which determine the severity, magnitude and physical location of the affected population, such as IPC (the gold standard); EFSA, maintained by WFP; VACs in Southern Africa; HEA seasonal updates, such as Sahel Targeting by status means targeting a group of people on the basis of a vulnerability conferred by their status (such as refugees or IDPs). This modality does not differentiate between individual or households within the group and can be difficult to adjust over time or to switch to other forms of targeting. 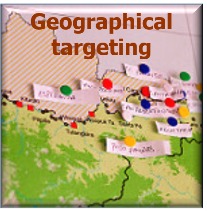 Targeting households is the most common form of targeting after geographical targeting. 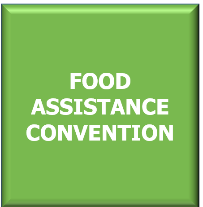 It usually takes into consideration socio economic status, health (especially in the case of HIV/AIDS), nutritional status (with activities referred to a family or protection ration) or gender (female headed households), but should be made on the basis of assessed food security status. 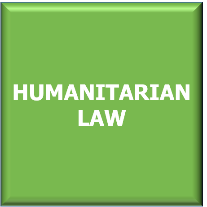 The eligibility criteria to receive humanitarian support may be determined by a formal survey or assessment, but must be clear and checkable. 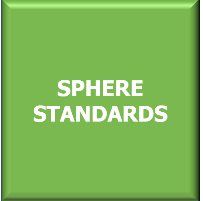 According to Sphere standards, such criteria should be agreed by both recipients and non-recipients. 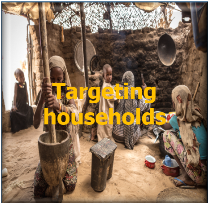 The tools for targeting households may be determined by outsiders, such as HEA and PMTF (Proxy Means Testing Framework) or community-based. - disabled, elderly or other vulnerable person. 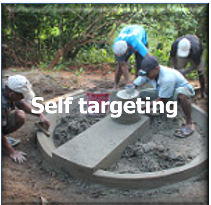 In self targeting there is no eligibility criteria: people decide for themselves whether or not to take advantage of the assistance offered, depending on whether they need it and what they must do to get it. Typical examples are distributions conditional upon work (Food for Work, Cash for work) or market based criteria such as price subsidy. It is important to remember that work based criteria may place burden on most vulnerable or least able to work. Targeting in complex emergencies is inherently difficult. Access may often make it impossible to target beyond the district or livelihood zone. Registration lists may not be updated. Complex protection issues need to be taken into account. 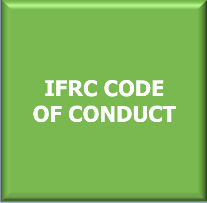 Furthermore, the likelihood and, in some contexts, acceptable practice of assistance later being shared or redistributed, post-distribution, according to household or social norms, needs to be acknowledged and considered. This should influence the design of the operation, the setting of the levels of assistance to be provided, and the rigor of pre-distribution targeting expected. In addition to determining «who» should receive assistance, and «where», due consideration should be given to the timing of humanitarian food assistance actions («when» and «for how long») to ensure that they are implemented when they are most needed, and when they can have most impact and do least harm. Needs-based programme design should then ensure optimal appropriateness of «what» and «how much» is provided, in terms of both the nature of the transfer itself (e.g. the ration composition, the amount of cash required, or the cash-in-kind ratio), and the quantity (e.g. the ration size, or the cash value).